Vero News > 32963 Features > Real Estate > $643 million: Island brokerage among top 500 in U.S.
For the second year in a row, Dale Sorensen Real Estate ranks among the top 500 real estate brokerages in the United States, based on sales of $643 million in residential property in 2017. “That is pretty amazing when you consider the size of our market and the fact that there are more than 86,000 brokers in the U.S.,” says managing partner Dale Sorensen Jr. The recently released Real Trends 500, the longest running and most recognized ranking of real estate performance, names Sorensen No. 437 in the nation. A separate list, put out by Real Estate magazine, has the company as the 401st largest brokerage in the United States with sales of $669 million. The company ranks even higher among independent brokerages – those that aren’t franchises of Coldwell Banker, RE/MAX or some other coast-to-coast organization – coming in at No. 128 nationwide and No. 6 in Florida. All of the rankings are based on company’s combined sales in Indian River, Brevard and St. Lucie counties. Sorensen’s agents sold more than $435 million in residential property in and around Vero Beach, $204 million in Brevard and a small amount in St. Lucie. Both Real Trends and Real Estate Magazine demand detailed documentation and third-party verification of numbers that are submitted by companies on the list. RIS Media, publisher of Real Estate magazine, requires brokers to provide transactional records signed by an accountant, according to Online Managing Editor Beth McGuire. Sales reports are also reviewed by the local board of realtors. “I look at the reports to make sure they were run from our MLS,” says Carol Hawk, CEO of REALTOR Association of Indian River County. A family firm started four decades ago by Dale Sr. and Matilde Sorensen in what Matilde Sorensen calls “a teeny, tiny office on Beachland Boulevard,” the company has grown dramatically over the past decade, from $121 million in sales in 2009 to nearly $670 million in 2017, including commercial sales. It has expanded to 12 offices, including development sales offices and one under construction in Sebastian, staffed by about 180 agents assisted by 35 support staff. Growth has been especially strong in the past year or two in Brevard County, where Sorensen opened its first office in 2012 and now has three full-service locations. “So far this year, our sales in Brevard are up 83 percent compared to the same period in 2017,” Sorensen says. He attributes much of the company’s success to a business philosophy focused on empowering its agents. “We have two sets of clients – people we represent in home sales and purchases and our agents, who are our clients, too,” he says. Agent support includes constantly updated Web tools, training in sales, contracts and transactions, transaction assistance, motivational training and one-on-one mentoring by top agents, including Matilde Sorensen, who is constantly among the sales leaders in the county, selling more than $100 million in 2016. 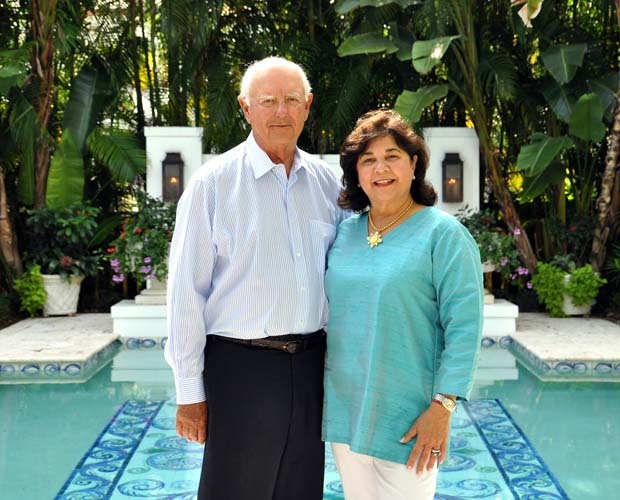 Another accolade will come the company’s way in May when Dale Sr. and Matilde Sorensen will receive the Lifetime Achievement Award from Who’s Who in Luxury Real Estate. “A worldwide collection of top brokers representing the finest luxury properties across the globe, Who’s Who in Luxury Real Estate … [is comprised of] more than 130,000 professionals with properties in more than 70 countries who collectively sell over $300 billion of real estate annually, making it the most elite and comprehensive luxury real estate network in the world,” according to press release about the Sorensen’s upcoming award put out by the organization. Dale Sorensen Jr. says the Vero and Brevard markets are good shape, with steady price increases in many areas but little of the speculative excess that preceded the 2007 real estate crash and he expects the good times to continue rolling for the next couple of years. “I am very encouraged and optimistic that we will achieve our ninth straight year of sales growth in a row in 2018,” he says.